Silliness abounds in the latest collaboration between two masters of humor. What if Triangle were a being as well as a shape? And what if Triangle went to visit another being, Square? Like I said, silliness. Triangle sets out to play a sneaky trick on his friend Square. He goes past many shapes on the way, some of which don’t even have names. Once the trick is played, Square feels the urge to reciprocate. That’s when things turn dark. Simple yet profound illustrations grace every page. 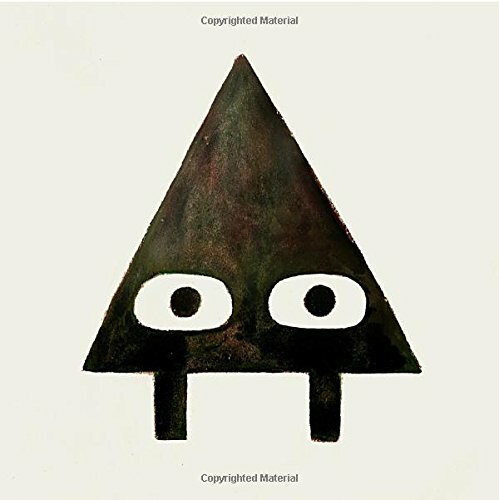 Of course Triangle and Square each need expressive eyes and stick-like legs. Triangle naturally has a triangle shaped house with triangle shaped doors. Squares are square. The humor and shape ideas are universal and well worth anyone’s time. 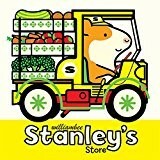 Stanley, the loveable hamster, is back with his own store. He even drives a delivery truck. Large, bold colored pictures allow children to pick out the various shapes of cheeses. Fruits and vegetables are easy to recognize and name. Funny events take place as displays get tipped over and hot bread is removed from the oven. 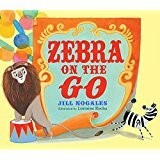 Parents, teachers and librarians will enjoy introducing this book to young readers in a read aloud setting. Teachers can use the book for teaching vocabulary, sequencing of events as well as matching text to the illustrations. Parents can use the illustrations to discuss healthy choices in foods as one shopper has all cookies and candies while another has fruits and vegetables. The hardcover book is padded which makes it safer and more enticing for the youngest readers. Under the circus big top, the accident occurs. The zebra steps on the lion’s toe. The roaring lion scares the zebra who takes off out of the tent and all through the town. Children will have fun trying to find the zebra hiding on the merry-go-round in an almost hidden picture kind of illustration. Lots of action, short bouncy rhyming phrases lead the parade through the town. By the time the lion starts sinking under the water, everyone knows who will save the day. The show that began in the circus tent ends at the wharf with the crowd applauding it all. Teachers, librarians and parents will love this read aloud, and soon will repeat it without ever turning the pages. Children will love pouring over the vibrant watercolors to study all the details and expressions. This story is sure to become a favorite in no time! Lift the flap books hold intrigue and joy for young readers sharing a couch with an older reader. This book will bring about giggles as well as maybe a screech or two. Some of the animals are a little surprising and seem to jump right out of the illustration. The watercolors are carefully matched to produce the camouflage used by dwellers in tide pools. Adding to the fun of the flaps is the almost hidden picture quality of the illustrations. Which, after all, is the point. But a point made while providing great fun as well as solid information to young readers. 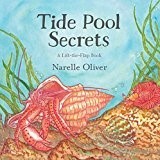 Kindergarten, grade one teachers, and librarians can use this book to introduce life in the oceans. Parents can use it as an introduction to the trip they are planning to the seashore. Curriculum standards will be met in literature, science, art, and differentiating between fact and fiction. It is a gem children will enjoy going through over, and over again to find the hidden animals. The flap is used wisely to show how the animal appears when it is in hiding versus how it looks when the coast is clear. Extras: End pages show detailed up close illustrations of the sea creatures from the main body of the book with more information about each.